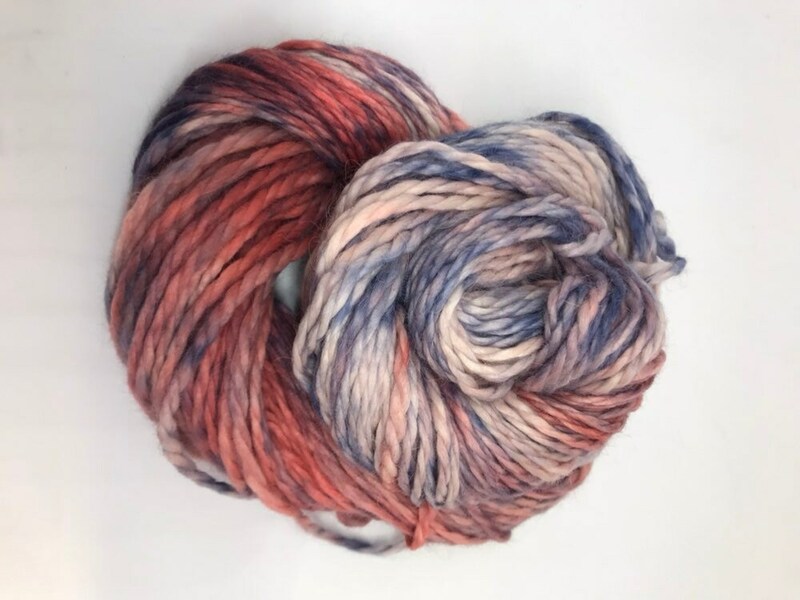 Joules - 100g Baby Alpaca Chunky / Bulky Yarn, hand dyed in Scotland, navy and coral, so soft and squishy! This is a gorgeous Chunky Baby Alpaca Alpaca yarn. Just one skein is plenty for a super soft luxury hat or cowl.